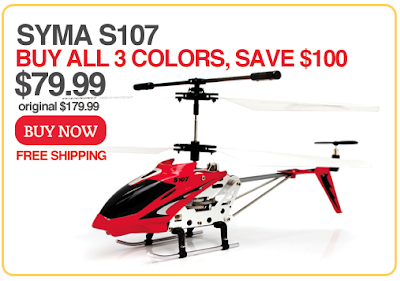 Now save $100 and FREE SHIPPING when you buy all 3 colors of the S107! It's the lowest price we have ever offered at Hobby-esStore! Look again-- FREE Shipping? That's a paltry $26 or so each shipped!?!? For one of the Best 3 channel IR Copters of ALL time (so far)...whoa. Hobby-Estore ships FAST, and with their PROVEN Service and Support, I would skip Ebay cloner-sellers (good LUCK, authentic S107's are HARD to get now) in a heartbeat these days. -The three colors take me back to those cool old breakfast cereal toys! The Differences Between Electric And Gas Powered RC Trucks. The NEW SYMA S107C Coming soon!